Coastal rowers from around the world will soon gather in Helsingborg, Sweden to face each other and the elements at the 2013 World Rowing Coastal Championships. This year’s event will draw notable names in the coastal rowing world such as Spanish rower Alberto Etxarte Zambrano, Italy’s Simone Martini and Sweden’s Peter Berg. 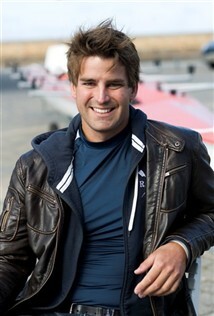 Berg, a local rowing hero, will have the home audience on his side as he attempts to claim a World Championship title. But the home crowd may have to cheer for another local favourite, Olympic rower Lassi Karonen. After a fourth place finish at the London Olympic Games in the men’s single sculls, Karonen retired from flat water rowing and decided to try his hand in a new discipline – coastal rowing. For Karonen it will definitely be a different experience, switching from the calm, flat and straight 2000m course to a 6000m, rectangular, open water course where waves are welcomed and crashes are commonplace. “It felt like a good opportunity to try coastal rowing when having the World Championships in Sweden,” said Karonen. “The biggest difference is that it may be very harsh weather with big waves, which I’m not very used to. You need a special technique to use it to your advantage,” he continued. Karonen, who is new to the discipline, will be going up against veteran Peter Berg in the single. Berg has won two World Rowing Coastal Championship bronze medals as well as nine national titles, despite struggling for three years with heart problems. Beginning in 2008, Berg suffered from heart problems that left him uncertain of how to train and whether he could continue to row. With perseverance and determination, Berg not only continued to row, but worked relentlessly to convince doctors and insurance companies of his need for surgery. Eleven weeks after his surgery, Berg took the bronze medal in the men’s single at the 2011 World Rowing Coastal Championships in Bari, Italy. Now training at his full capacity, Berg will be looking to go for gold at this year’s competition. 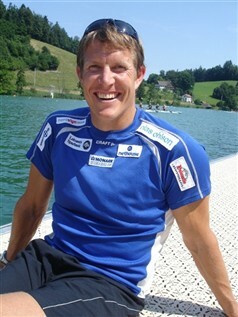 Berg trains out of a boat club in Helsingborg and will have the full home water advantage over his competitors. The 2013 World Rowing Coastal Championships in Helsingborg, Sweden gofrom 17-18 August 2013. There are three boat classes offered: single, double, coxed quadruple sculls. For more information, please see the event page here.